Actually, Chelsea's a different person. She was someone in acts of espionage, not in sports. 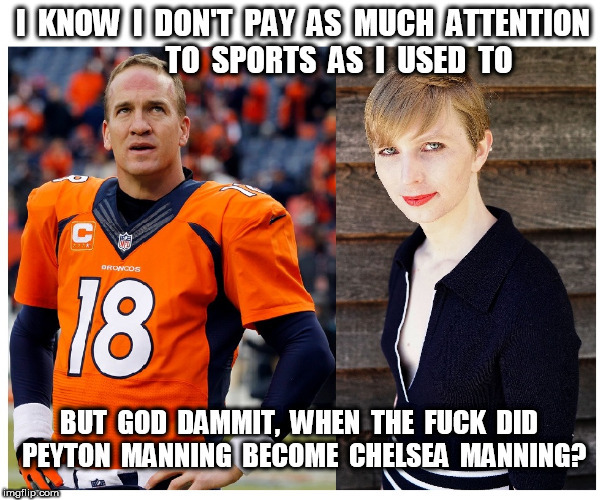 I KNOW I DON'T PAY AS MUCH ATTENTION TO SPORTS AS I USED TO; BUT GOD DAMMIT, WHEN THE F**K DID PEYTON MANNING BECOME CHELSEA MANNING?